Today is the third day of the Cosmo tour. I have three talented ladies joining me today with three dresses to share! Loni from Havinsewmuchfun, Sofie from Wensjewat and Alex from Giddy Ants! During the tour, you can receive a 15% discount on the Cosmo pattern with the code COSMOTOUR. Apply at checkout HERE! Available in English and Dutch. Do you need another incentive to buy the Comso dress pattern? Well make sure to follow me on IG because I have a fun giveaway going on over there too! Win 1.5metres of Cotton and Steel fabric, piping and exposed zip! Loni lives in America and sews and blogs at Havinsewmuchfun. She helped me with testing the Juliette dress + top and made this gorgeous version!! Loni sews for herself and for her three young children. 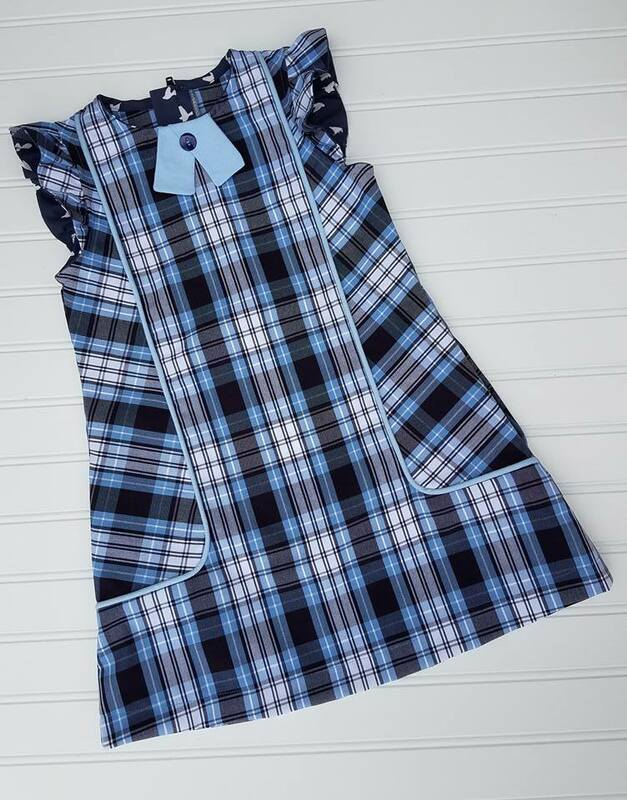 Can you believe the amazing school uniform Cosmo dress she made? It looks so amazing and I can't wait to see it on her daughter! Head over to Havinsewmuchfun to see more! 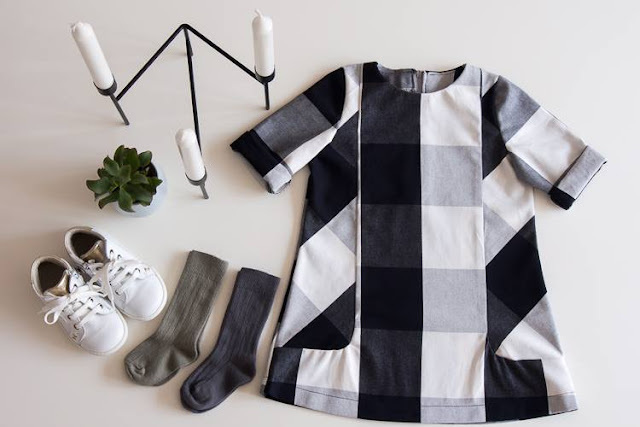 Sofie from WenSJe makes beautiful clothes for her three year old daughter and also for herself and she lives in Belgium. 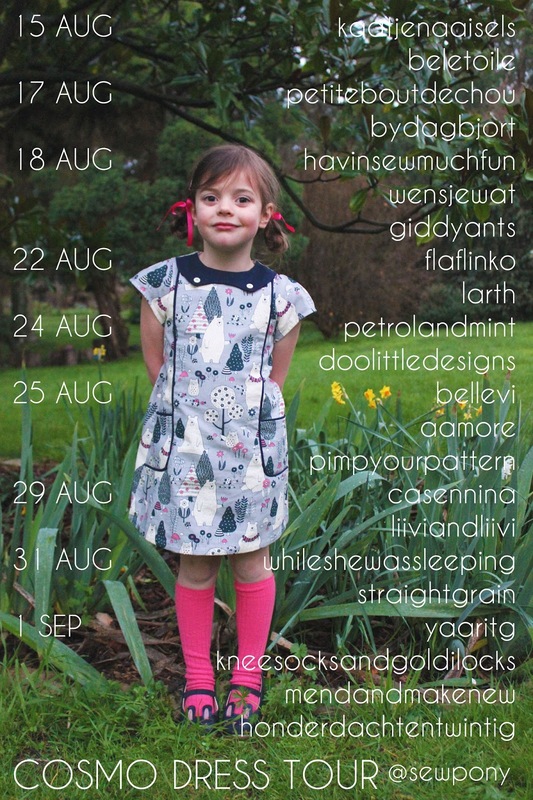 Sofie came second in the international category of my Dressed in sewpony sewing contest with this gorgeous dress! She has sewed with blue and white again today and I love how she played with the print of the large gingham. She sewed a collarless Cosmo and has rolled the sleeves to create a cuff. See more of her dress here! 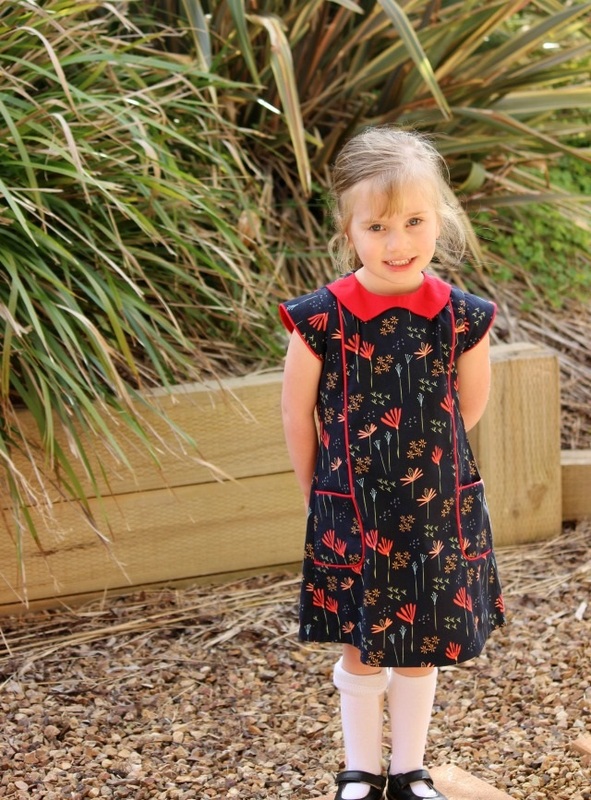 Alex is a fellow Aussie who lives a few hours from me and blogs and sews at GiddyAnts. She makes gorgeous and stylish clothes for her little daughter Freya. Alex has sewn up quite a few sewpony patterns - make sure to check out her blog and Instagram feed to see all of her gorgeous sewing. I can see that Alex also used the Miss Polly capped sleeve for this Cosmo dress - which is something that I want to try too! You can see more of her gorgeous Cosmo dress here! Thank you Loni, Sofie and Alex! I love your dresses! Please come back on Monday to see more Cosmo inspiration and remember to check in at sewpony on Instagram for my little Cosmo giveaway!! All of them are gorgeous dresses! Love them!